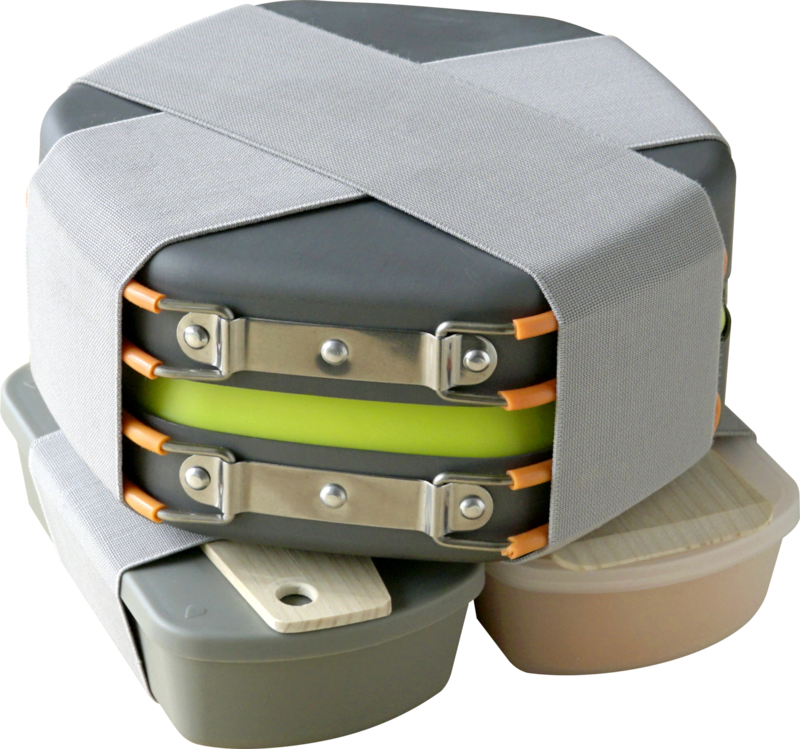 Hex Solo is a highly expandable, yet extremely compact, mess kit that encourages people to be creative with limited resources and create the best food on any wild journey. Inspired by Japanese minimalism, Hex Solo is the minimalist’s ultimate mess kit for outdoor activities like camping, hiking, picnicking, and more. 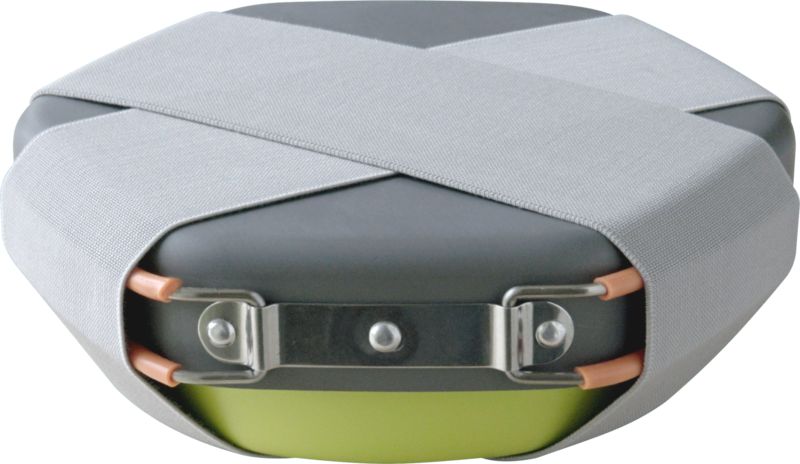 Hex Solo’s unique hexagonal shape allows for each item to fit compactly inside of each other, similar to Origami. You don’t have to overpack your bag with cooking gear or settle for anything less than gourmet when you’re heading outdoors. 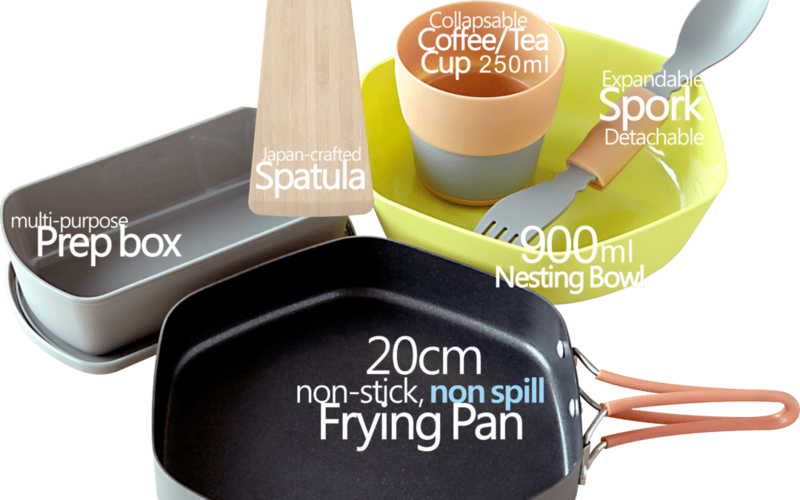 Each mess kit includes an 8” frying pan, expandable spork, wooden spatula, multi-purpose prep box, 900ml nesting bowl, collapsible coffee cup, and a set of elastic bands to keep your kit together. Not campaign alone? Bring the Hex Duo Minimal Mess Kit, so you can serve up tasty campfire food for you and your adventurous friends! Hex Duo comes with everything in the Hex Solo mess kit with an extra nesting bowl, spork and cup. The Hex Jumbo Minimal Mess Kit is made to accommodate up to four people. 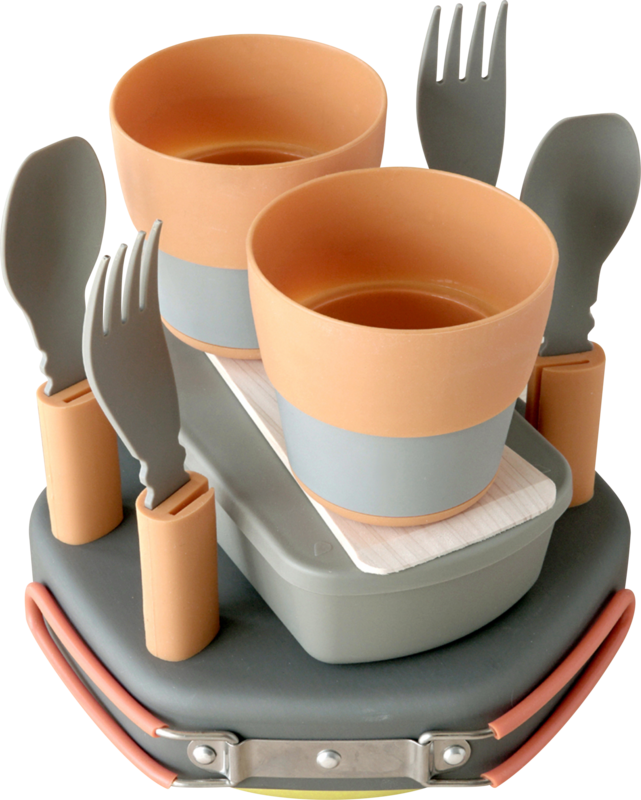 Hex Jumbo is just as compact as our other versions, but made for the whole family; it comes with all of the essentials that our other kits come with but with four nesting bowls, four sporks and four cups! Play to win and learn more about our campaign!